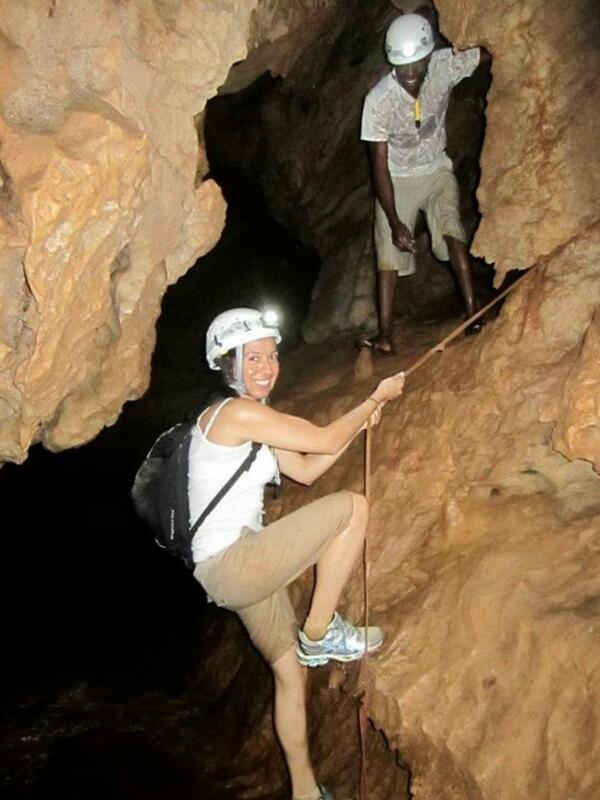 Did you know that there are places in Jamaica where you can experience authentic culture, learn about the history of local people as well as adventure through pristine underground caves? In Trelawny, you can take a tour where history, adventure and awe come alive. Cockpit Country Adventure Tours lets you discover one of the most pristine and culturally significant yet little-known part of Jamaica. Guided by descendants of Maroons, you explore the caves of Cockpit Country, the hide outs used by Maroon warriors’ in their successful fight against the British. Journey into the dark underground caverns of the Printed Circuit cave, sculpted from weathered white limestone and exhibiting breathtaking formations and glittering reflections. Cockpit Country Adventure is located in the local parish of Trelawny between Ocho Rios and Montego Bay, tours can be arranged every day of the week and typically last 3 hours. Head lamps and helmets provided. Guests should bring a change of clothing and footwear as you will get wet and muddy. Ready to dig into Jamaica’s Maroon Culture? Visit www.stea.net for more information.